Few countries love its soccer . . . err . 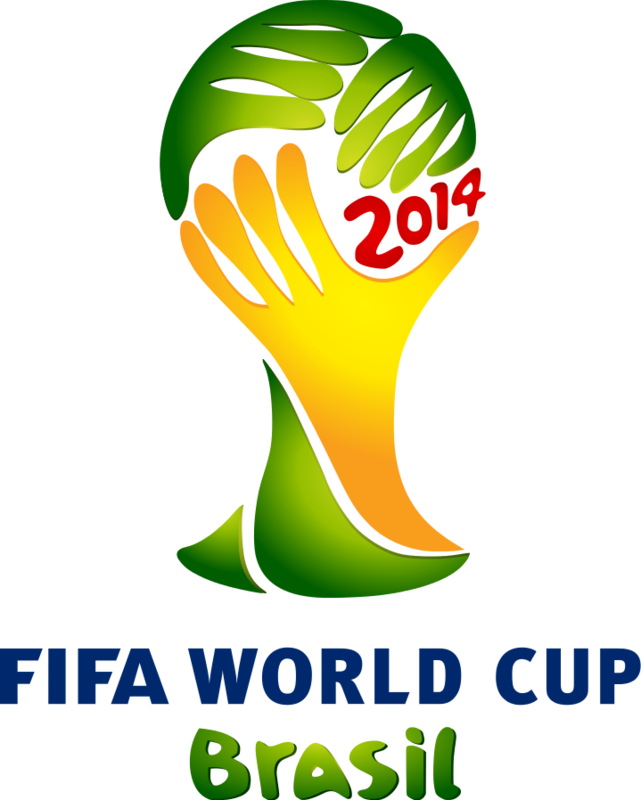 . . football as much as Brazil. 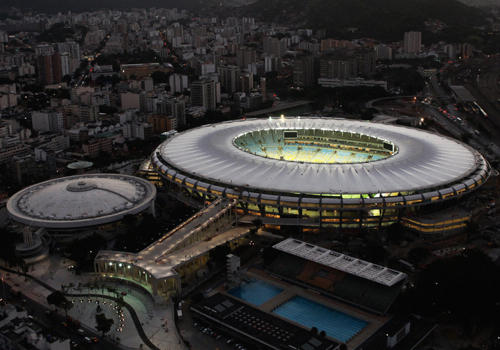 Noteworthy: Estádio do Maracanã (which to me, looks a bit like the front of the USS Enterprise) is the granddaddy of the twelve World Cup stadiums and is the largest stadium in South America. Originally constructed for the 1950 World Cup, Estádio do Maracanã has seen its share of famous people including Pele, Frank Sinatra and the Pope. Alcides Ghiggia, who scored Uruguay’s winning goal in the decisive final game of the 1950 World Cup, once said “Down through its history, only three people have managed to silence the Maracana: the Pope, Frank Sinatra and me.” Humble guy. Noteworthy: Located in Brasília, the federal capital of Brazil, Estádio Nacional fits in perfectly with the modernist architecture of this young capital city founded in 1960 which was planned and developed by urban planner and architect Lúcio Costa and architect Oscar Niemeyer. 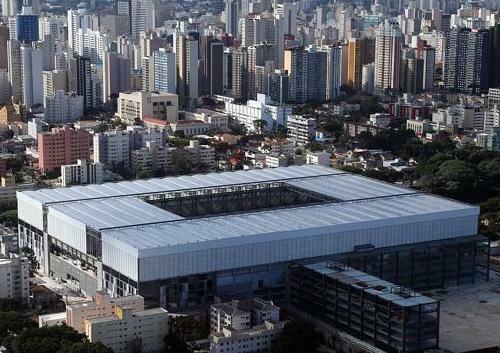 It is the most expensive stadium ever built in Brazil. One worker died during its construction. Noteworthy: Located in an economically depressed area of São Paulo it is the hope that Arena de São Paulo will reinvigorate the area. The exterior facade of the stadium is the world’s largest LED stadium screen measuring 37,000 square feet. Three workers died during construction of the stadium and a stop work order was issued. 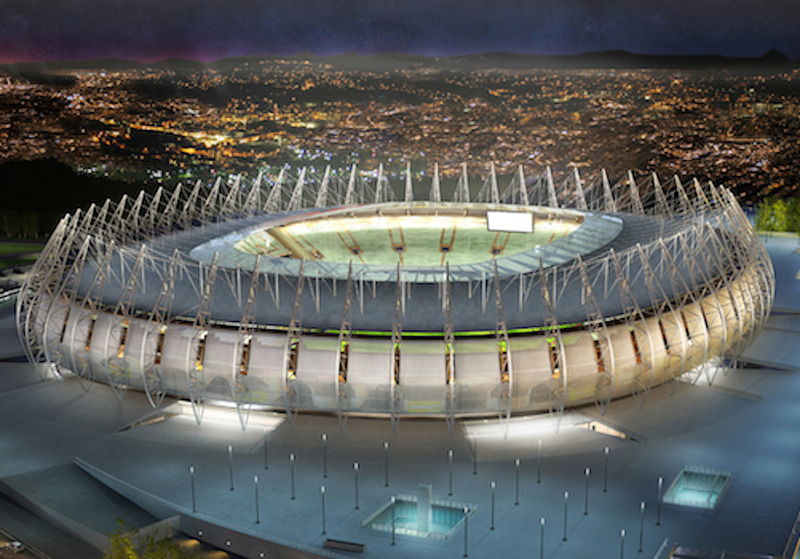 As a result, the roof of the stadium will remain uncompleted at the time of the 2014 World Cup. Noteworthy: Built in 1973, Estádio Castelão was the first of the twelve stadiums being built or renovated for the 2014 World Cup to be completed and one of only a handful that was delivered on time and within budget. As was the case with each of the twelve World Cup stadiums, all of which have applied for LEED certification, sustainability was a key component of the renovation. Nearly 36,000 tons of concrete generated from demolition was recycled and reused to pave the new car park at the stadium. Noteworthy: Although an older stadium, with the addition of nearly 6,000 solar installed on its roof with a capacity of 1.4 MW, Estádio Mineirão is the first ever World Cup stadium to be powered solely by solar energy. The stadium will use about 10% of the energy generated by its PV system with the rest being transferred to the grid. 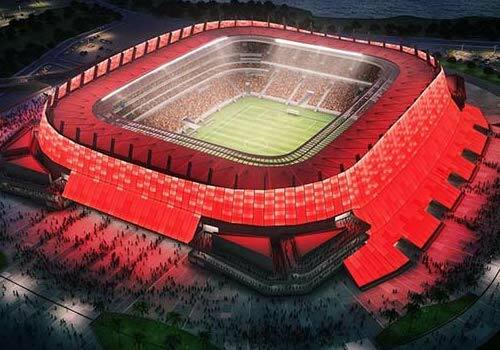 Noteworthy: Estádio Beira-Rio, nicknamed “the Giant of Beira-Rio,” is the largest stadium in the southern part of Brazil. Sitting along the bank of the River Guaiba, the stadium’s name, Beira-Rio, literally means by the river or waterfront in Portugues. Home to Internacional, fans of the team donated bricks, cement and iron for its construction, and would even leave the team’s existing arena, Estadio dos Eucaliptos, whenever the team was a losing and head to Beira-Rio to cheer the builders on. Now that’s what I call support. My personal favourite of the twelve stadiums. 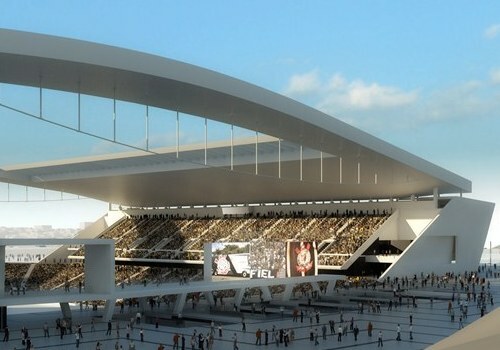 Noteworthy: Replacing the old Salvador da Bahia stadium, Arena Fonte Nova boasts one of the lightest stadium roofs at just under 100 pounds per square meter. The stadium’s roof, in addition to being light is also functional, and is made of Teflon coated PTFE and designed to channel rainwater into storage tanks which is used for the toilets in the stadium. Extensive use was made of construction debris from the old stadium. The stadium earned LEED Silver. 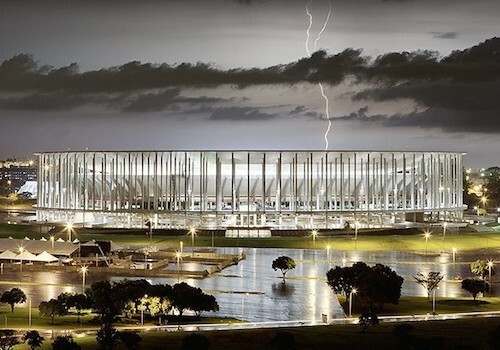 Noteworthy: Arena Pernambuco has its own solar power plant which generates 1 MW of solar power and is part of a research and development program on solar power in Brazil. The exterior facade and roof is made using Fluon ETFE film with an LED membrane that allows it to be lit up with different colors. 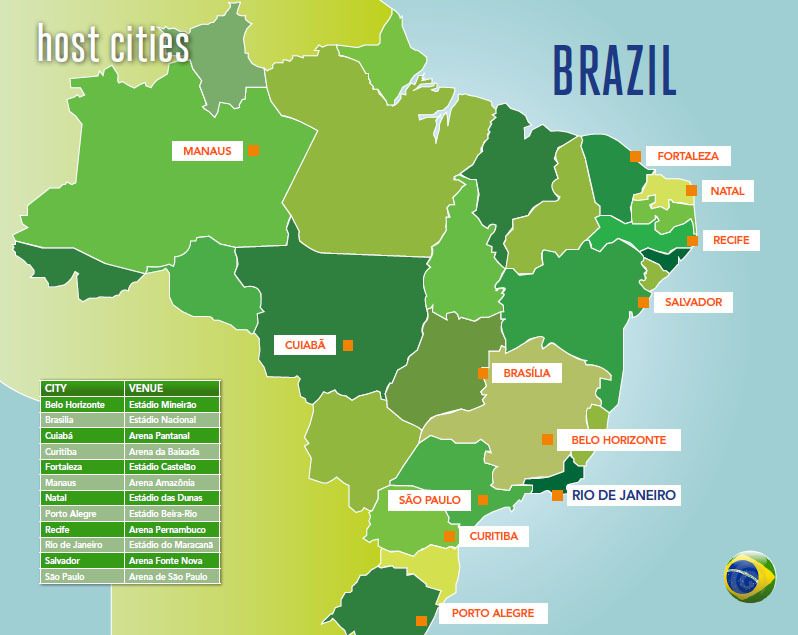 Noteworthy: Cuiabá, known as the “Southern gate to the Amazon,” is in an area known for its flora and fauna. 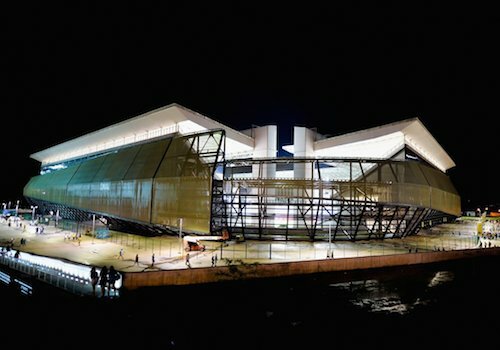 Sustainable building practices were used throughout the construction of the Arena Pantanal, which has earned the stadium the nickname “O Verdão” or “The Big Green,” with wood coming from certified sources and construction debris being reused in the construction. The stadium earned LEED certification. The stadium has an adaptable structure that can be reconfigured to reduce its size to host a variety of events such as concerts and exhibitions. On a darker note, two construction workers were killed during its construction. Noteworthy: Located in the world’s largest tropical rainforest, most of the building material for Arena da Amazônia, including 6,700 tons of steel, had to be taken by boat up the Amazon River. 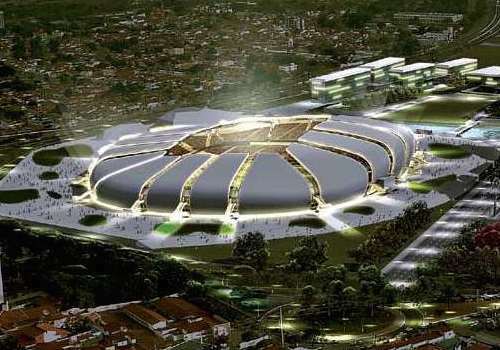 Because of the extreme heat along the equator where the city of Manaus is located the stadium’s seats are made of a special plastic that does not fade in the searing equatorial sunlight. A beautiful stadium, some believe that the stadium is too grand for an area not particularly known for its soccer. 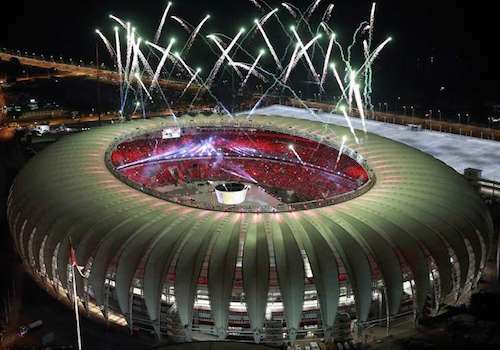 Noteworthy: Of course, for us Americans, Arena das Dunas is noteworthy as being the stadium where the United States beat Ghana in it first match during the 2014 World Cup. 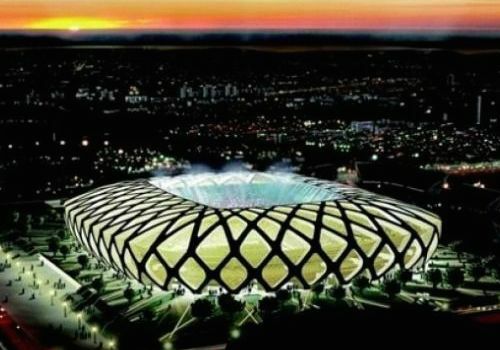 Perhaps the most unusual looking of the 2014 World Cup stadiums, the stadium’s design is inspired by the famous sand dunes that the city of Natal is known for. 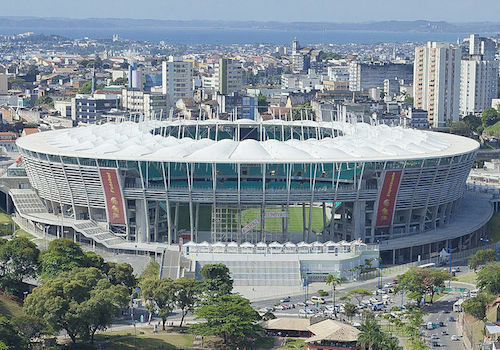 Noteworthy: Arena da Baixada is the oldest venue to host matches during the 2014 World Cup and sits at the location of the original stadium built in 1914. 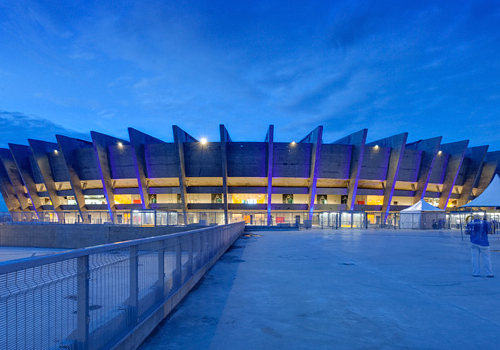 Despite its historic roots, Arena da Baixada is considered to be one of Brazil’s most modern and best-appointed stadiums. As part of its most recent renovations, the stadium was to have a retractable roof but, due to construction delays, it couldn’t be built in time for the World Cup. Indeed, due to delays during construction, the stadium was at risk of being excluded from the World Cup. Among the stadium’s features is a 264,172 gallon cistern for holding rainwater which is used in the stadium’s automated irrigation system.